Another 80-story building here or there? Yawn. A seven-story building at Park Avenue and 125th Street? Now, that’s astonishing. What makes it astonishing is that a productive end seems near for a dispiriting tale that goes back to the 1970s, when the ruddy former Corn Exchange Bank at 81 East 125th Street — “one of the most impressive buildings in Harlem,” in the words of the Landmarks Preservation Commission — was taken over by the city and largely vacated. By mid-2015, the reborn Corn Exchange, developed by Artimus Construction at a cost of $14 million, will be open to retail and office tenants. The building is an entirely new steel-frame structure set within and rising over the 19th-century masonry base, which is all that remains of the original after years of troubles, fire, decay and gravity. 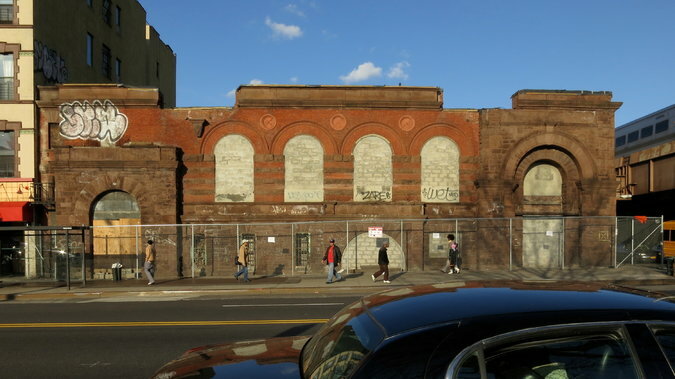 The depredation of the old Corn Exchange Bank has not only been an assault on Harlem’s well-being. It has also sent a powerful message of despair to the thousands who pass by the site every day on the Metro-North Railroad. An 1893 photo of the former Mount Morris Bank Building, later known as the Corn Exchange Bank Building, at 81 East 125th Street in Harlem. 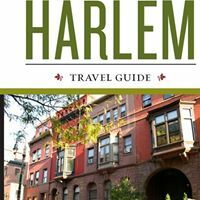 “It provides something the Harlem business community has been asking for,” said Kyle Kimball, president of the city Economic Development Corporation, who is among the higher ranking holdovers from the Bloomberg administration. The corporation is overseeing the Corn Exchange project, having sold the property to Artimus for $500,000. 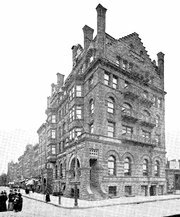 Constructed in 1883 as headquarters of the Mount Morris Bank, the Queen Anne-style building symbolized the growing importance of Harlem. But Mount Morris was taken over in 1913 by the Corn Exchange Bank, founded by former members of the Corn Exchange. After 30 years as a bank headquarters, the structure was demoted to a branch. Chemical Bank swallowed up Corn Exchange in 1954. The new company was briefly called the Chemical Corn Exchange Bank and referred to by The New York Times as “Chemical Corn,” which sounds like something made by Monsanto. Or Brach’s. After Chemical closed the branch around 1965, tenants included the Samuel Temple Church of God in Christ. The city acquired the property in 1972 for nonpayment of taxes.